April 18, 2018 - National Geographic explorer Alexander Braczkowski knew these lion cubs better than almost anyone. He was blindsided when 8 of them were killed by poison. Read "See the Last Footage of Rare Tree-Climbing Lions." 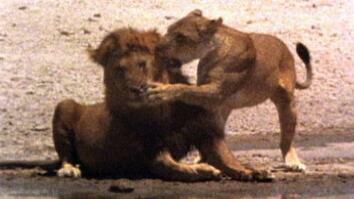 Wildlife Watch: "8 Lion Cubs Killed in Suspected Poison Attack." 11 lions were poisoned and killed in Queen Elizabeth National Park, Uganda. National Geographic Explorer, Alexander Braczkowski filmed these lions closely for nearly 6 months before their tragic death. 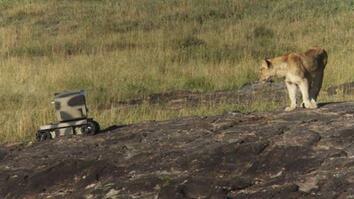 Why Is This Lion Dragging Around Its Breakfast? Lion Pride vs. 500 Buffalo—Who Will Win? Two Lions vs. Bucking Wildebeest—Who Will Win?